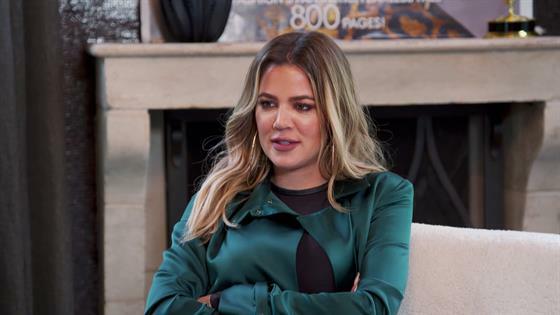 Khloe Kardashian Calls Out Momager Kris Jenner for "Art Shaming" Her on KUWTK: "It's Mean"
It's not okay to art shame…just ask Khloe Kardashian! In this clip from Sunday's all-new Keeping Up With the Kardashians, Kris Jenner lays into the Revenge Body host for not being more knowledgeable about art. Understandably, this doesn't sit well with Khloe, especially since her mom only just became an art fan in recent years. "You need to go to like an art class," Kris lectures Khloe after the latter asks about a piece in the momager's office. "Just because I'm not as knowledgeable as you, you shouldn't turn your nose up," Kris' daughter retorts. "You should be like, 'Well Khloe, Jeff Koons is…' instead of making me feel less than and uneducated." Furthermore, Kris "has not known about art for years and years, she's just learning about art." Although Khloe thinks it's "great" that Kris has gotten into art, she doesn't appreciate her mother's tone. "You can't art shame people just because they know less than you," Khloe notes in a confessional. "I'm your f--king daughter and you're art shaming me and it's mean." Ironically, Kris isn't even certain of the artist's name as she mispronounces Jeff's surname during the conversation. "Sorry, it's a Jeff Koons," the mother of six admits. "K-O-O-N-S."
"You didn't even know," an irritated Khloe snaps back. Watch the "art shaming" play out in the clip above!